at the moment i'm quite the opposite lol - i'm wearing very tiny necklaces because i'm loving big earrings more lol..but anyway, i like the two necklaces you posted here, especially the first one - i have 2 which are very similar, however mine are black and purple, i should show them to you! Such pretty necklaces I always feel weird wearing big jewelrey items but absolutely adore them when I see them on someone else. I really love the first one!the coloures are incredibles! 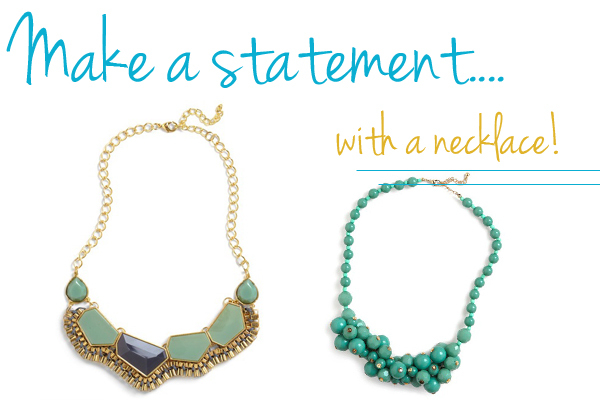 ME TOO...absolutely love the idea of making a big statement with an awesome big necklace and these are gorgeous. Loved the necklace to the left! Perfection.